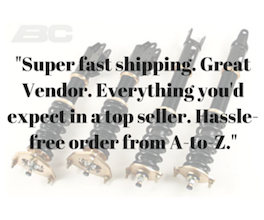 Here you will find the best prices on SPC camber kits plus FREE shipping! From manufacturers like Ingalls, Specialty Products Company (SPC), KMAC and Skunk2. We have specialized in the camber kit industry for over 10 years so please don't hesitate to ask us any questions. All prices listed are for BOTH left and right sides.